Pudlo South Africa is the leading supplier of specialised building products in the country. We pride ourselves on our ability to deliver competitive pricing and excellent customer service – if we don’t have it, we will find it! We are so excited to be sending out our first quarterly newsletter to our valued clients! In these newsletters we will highlight latest trends, industry news, our incredible customers, and provide helpful hints backed up by our wide range of unique products. 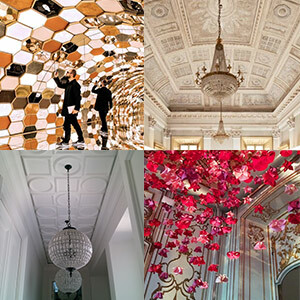 The recent Milan Design Week 2018 (MDW2018) inspired us to share three of the hottest design trends with you: statement ceilings; colour use; and sustainability trends. Click on our suppliers logo's to view their catalogue. If they have it, we can get it.